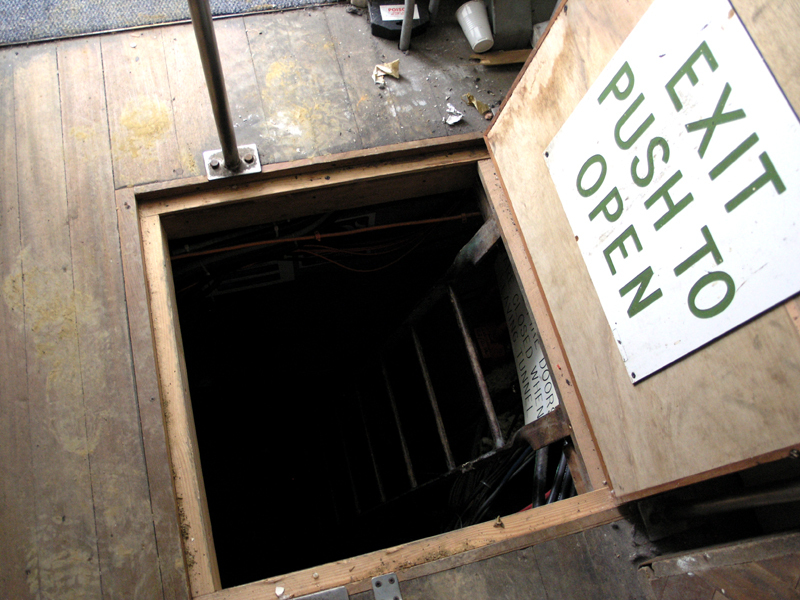 The entrance to Monk’s Tunnel from the Computer Building is through this trap door, which is located just north of the western entrance. It certainly isn’t a hidden affair as the trap door is surrounded by permanent barriers, hand holds and notices warning employees about keeping the lights on if the entrance is open. The signs here give this passage the name Monk’s Tunnel . We don’t know why. The trap door into Monk's Tunnel from the Computer Building.